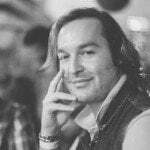 In October 2018, my family and I lost our home to a fire of unknown causes. The loss has been devastating, to say the least. Not so much in terms of losing material items, but more so the irreplaceable memories. Countless photographs of my parents and myself perished. All without any kind of digital backup – something we had been meaning to do. After learning of the tragedy, the wonderful people at Tribeca sent us the Epson EcoTank L7160 printer for review – with two full packs of photo paper to utilise. The results not only impressed, but they came at a time when I needed it most. The Epson EcoTank L7160 is one of the higher end printers in Epson’s EcoTank range. As such, it has a multitude of features that make it one of the best all-in-one printers I have ever used. The basics include the ability to print both normal text documents and photographs – of which the latter is where this printer truly shines. 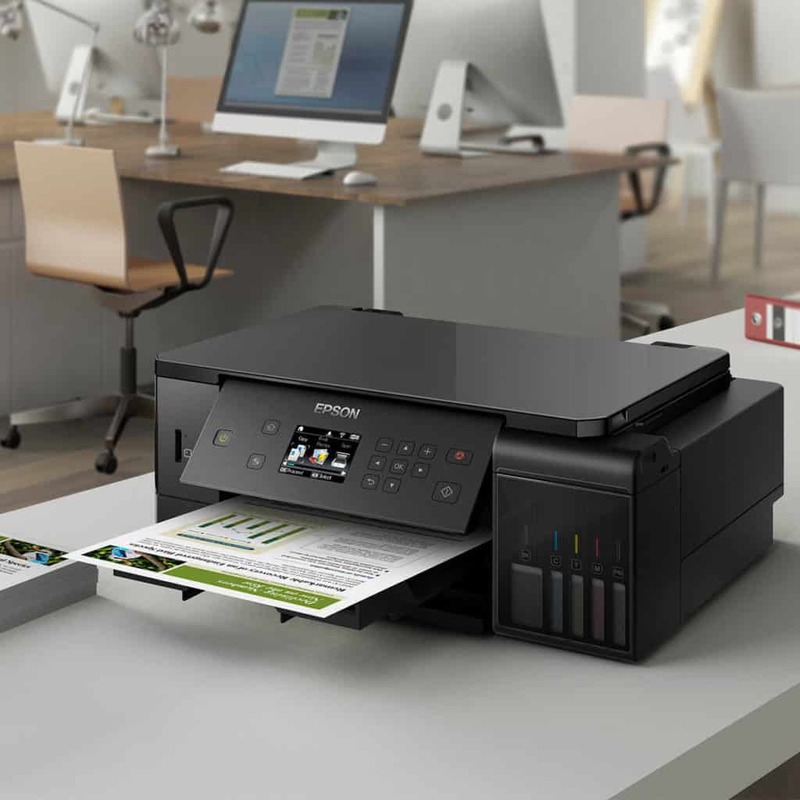 In addition to printing, it also includes a non-touchscreen LCD display, support for b/g/n WiFi, a scanner with a 1200 x 2400 DPI (dots per inch) resolution, and a SD Card reader and USB input on the front. 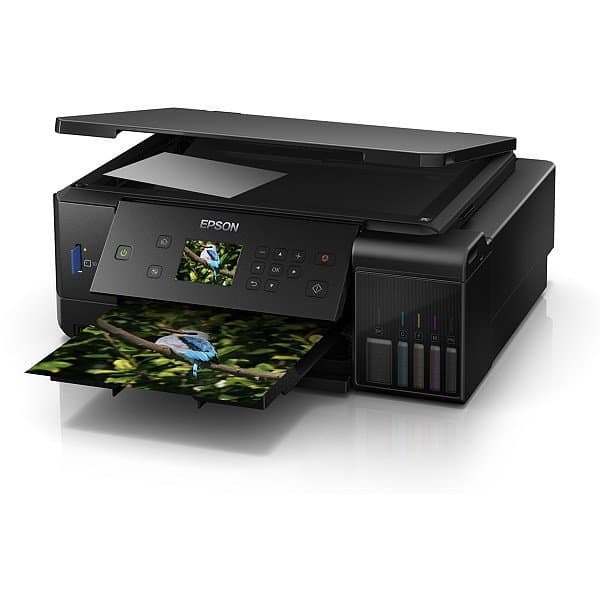 The additional features of the Epson EcoTank L7160 made it incredibly easy to print basically any kind of photograph. 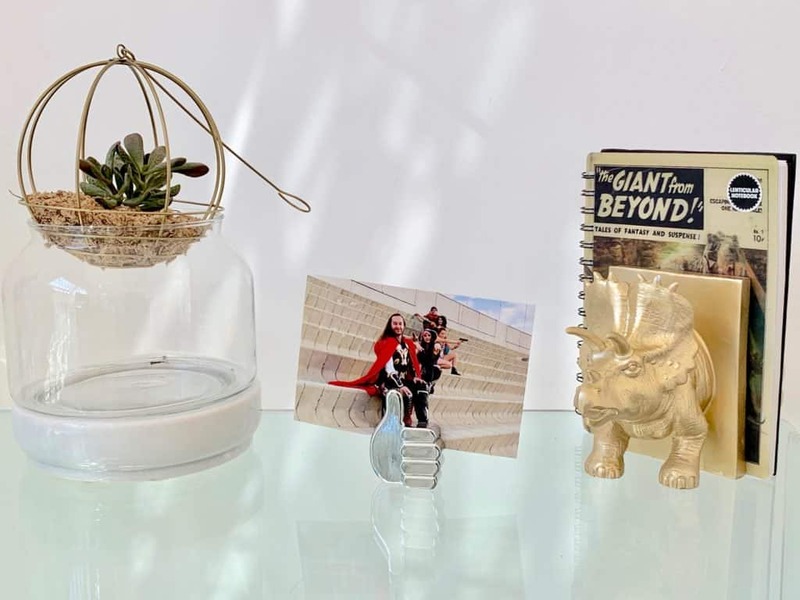 Whether directly from a camera via the USB connection or SD card reader, through to scanning a photo or using WiFi to print directly to it; the process was easy, intuitive, and always of a very high quality. I especially liked that, although small, the LCD unit on the Epson EcoTank L7160 allows users to do some basic colour correcting, and even red eye removal. Nice little touches for a screen that is often only used for informational purposes on other printers. It also offers easy access to a variety of settings without needing the printer to be connected to a computer. Thus making the Epson EcoTank L7160 incredibly versatile as a portable printing studio. All it needs is power, and you are good to go. A downside is that the screen is not touch enabled, which can make navigating it using the traditional hardwired buttons a little less intuitive than I would have liked. An odd design decision given how unique the printer is and how well it performs overall. I must also mention that the printer is not going to win any design awards. I think Epson went for more of a function over form design aesthetic. As such, the printer is a big, black and three dimensional rectangle. It is by no means an eyesore, but given its size, and thus its presence in a room, it would have been nice if it was a little more sleek in appearance. Nevertheless, the design is a small nit pick for such a capable printer. 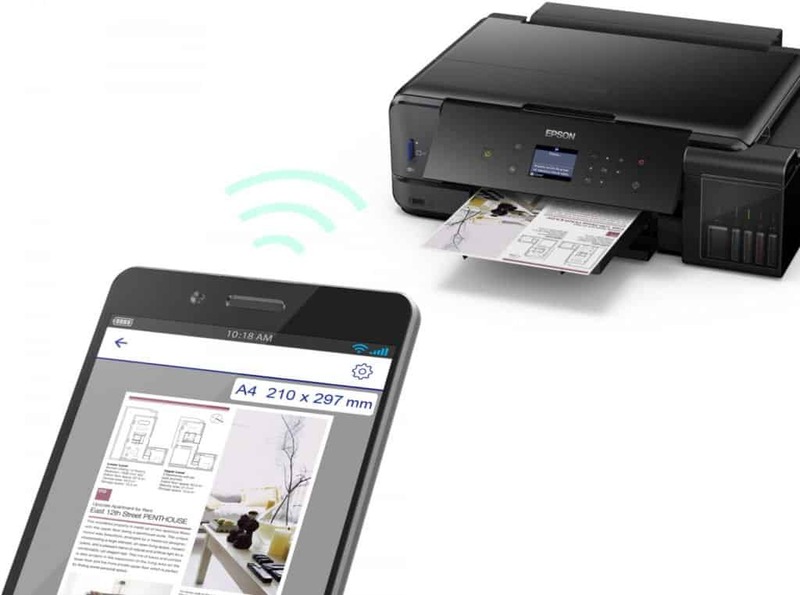 Since the Epson EcoTank L7160 is marketed as a printer for photographs, it does have a unique paper delivery system. The paper trays are locked behind a pivoting control panel, which must be lifted to gain access to them. They are then split in two on the front, and have one opening on the back to accommodate double sided printing. This allows for the printer to accommodate a variety of paper sizes, ranging from the 4×6 nature of photographs, through to normal A4. Unfortunately, the trays are quite flimsy. Once pivoting the control panel to gain access to the trays, you will find that their unique design takes some getting use to. This is because of the way they are structured, which means that you will sometimes pull out both trays when you only need one. At first, this is not an issue. However, the Epson EcoTank L7160 has an automatic tray switching function. Therefore, whenever you pull out a particular tray, it immediately assumes that is now the default tray to print from. The automatic tray switching can be counteracted using the LCD display, but it is an extra and unnecessary step in an otherwise easy printing process. Despite the unusual tray management system, I really do enjoy having dedicated trays for particular photo paper sizes. It makes it easy to load the correct paper in the right trays, and ensures that the prints are always managed properly. Perhaps one of the most interesting elements of the Epson EcoTank L7160 is its printing tank system. Anyone who is familiar with printers will know of the traditional cartridge system. Whereby printers will normally have one specifically for black, and depending on your printer, either an all in one cartridge or individual unique colours. These cartridges are often expensive and seldom last for as long as you would like them too. Worse still, if your printer has the ‘all-in-one’ colour cartridge, then you normally have to replace the entire thing for just one colour. 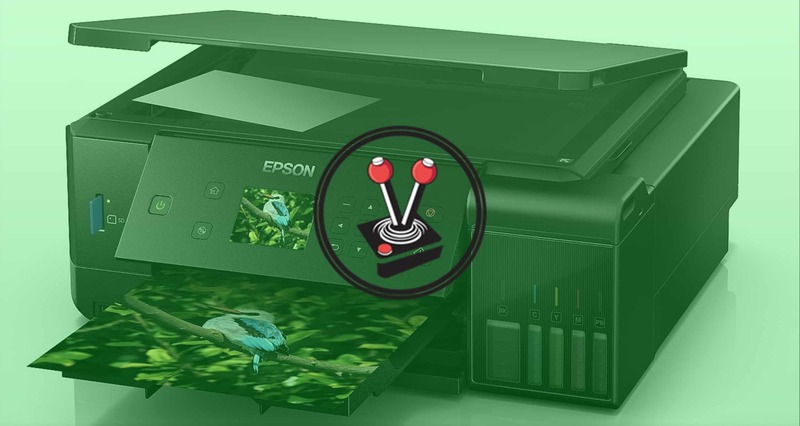 The good news is that the Epson EcoTank L7160 completely does away with cartridges. 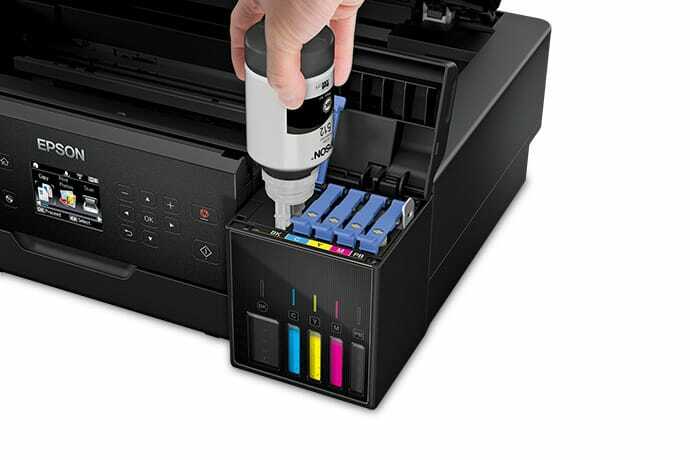 Unlike other printers, the Epson EcoTank line features an ‘ink tank’ system. Essentially, Epson has ditched conventional printer cartridges for miniature tanks. These tanks are not user replaceable, but the ink is. This is where the real magic lies. The Ecotank system is broken into four colours: black, cyan, magenta and yellow. These colours are expertly fused together during the printing process to produce prints. Each colour can be replaced independently of the others, and when replacement is needed, one simply needs to fill the appropriate tank. At first, the ink tank system of the Epson EcoTank L7160 felt a little unusual. For starters, the printer has far less user replaceable parts as a result. The printing bed and head are also of a different design to most other printers. This is because the printing head serves as merely a spout, versus conventional printers that often have the ink attacked directly to the printing head. It also means that there is a less of a chance of user error or damage to the printing system. Therefore preserving, to a certain degree, the longevity of the print head system. In terms of cost, much can be said for how well priced the ink is for the Epson EcoTank L7160. Refills can be purchased for roughly R110 – R120 a bottle. A full replacement of ink would therefore cost about R450. However, given the unique colour system, there is a good chance that only individual colours will need changing over time. The price of ink is, in my opinion, rather excellent. For the sake of comparison, the R120 price for a bottle of ink is only R10 more than the cost of an IMAX movie ticket at Sterkinekor. Given how well priced the ink is, it makes sense then that Epson would need to recoup costs elsewhere. Unfortunately, that cost has been relayed directly to the printer. The Ecotank line of printers from Epson start at R2500, going all the way up to about R10 000. 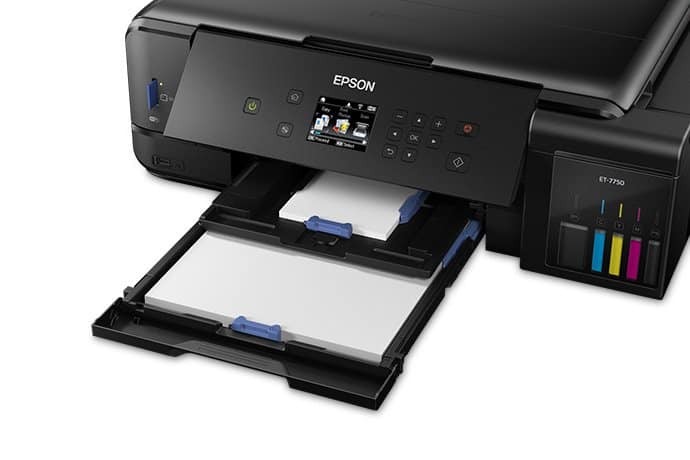 The Epson EcoTank L7160 in question is a top of the line unit set to arrive in South Africa within April 2019. As such, the price of that unit is still to be determined. 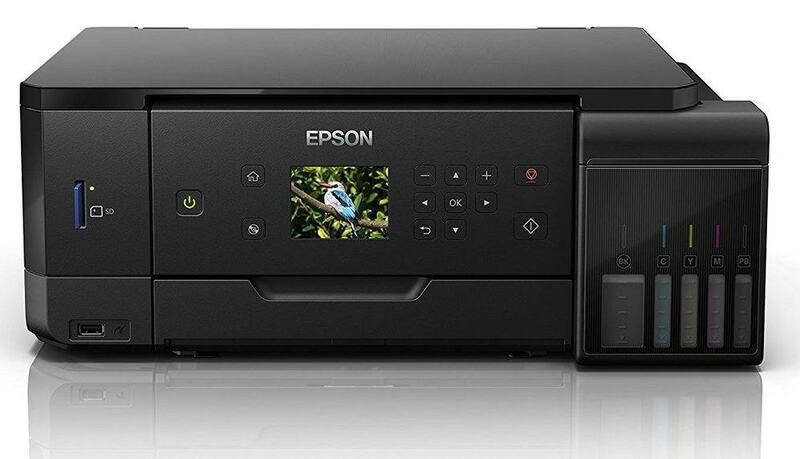 With that said, the current top of the line printer in South Africa is the Epson EcoTank L6190, which retails for around R7500. So it is safe to assume that the Epson EcoTank L7160 will match or surpass that figure. Despite the high costs, I must admit that the price of entry is well worth it. Epson were generous enough to let me have the printer for well over a month. In that time, I went through roughly four packs of photographic paper, two A4 packs and two 4×6″ packs. I also used about half of a standard pack of A4 plain paper. It should be noted that the ink tanks were not full on the review unit I tested. Even so, and through the 300 odd prints that I made, the printer never requested ink. In fact, I barely even noticed the ink levels change during my use. 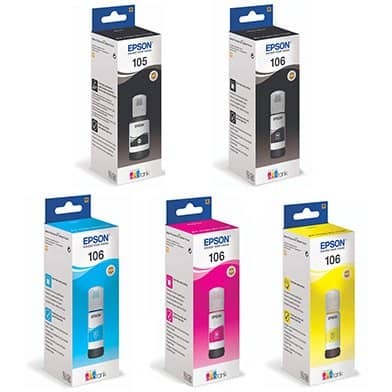 According to Epson, the printer comes with enough ink out of the box to last for three years or for 1500 4×6″ photographic prints. Before starting the review, I was rather sceptical about this claim. Now that I have put the Epson EcoTank L7160 through its paces, however, I believe that Epson’s claims are quite accurate. Better still, the printer offers some of the best photographic print quality I have ever experienced. Without a doubt, the absolute highlight of the Epson EcoTank L7160 is its photographic printing quality. The very first time I printed a photo, I was gobsmacked. It was as if I had taken my SD card to a photograph store, and they had printed the image on my behalf. The clarity, colour uniformity and resolution were impeccable. As a point of comparison, I printed the same photograph, using photo paper, on an HP LaserJet Pro and the Epson EcoTank L7160. Although the quality difference is difficult to see through a digital photograph, the real world difference was unbelievable. The Epson blew way the HP in every respect. Of course, the HP is more of a business printer. 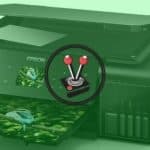 However, it gives credence to Epson’s claim that although the EcoTank range of printers may be multipurpose in nature, they do especially well for photograph printing too. In addition to the clarity and overall quality of the photographic prints, the Epson EcoTank L7160 printed images very quickly. 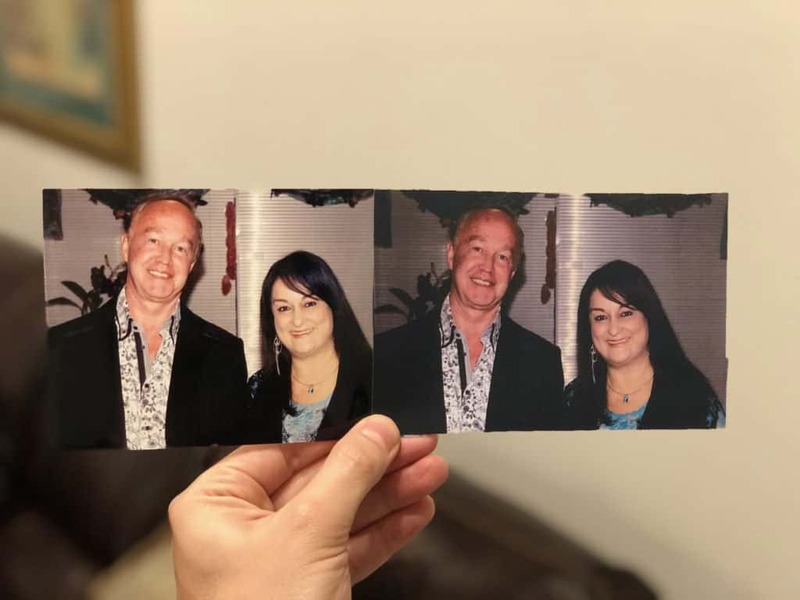 It often took less than 30 seconds to print 4×6 photographs whereas a full A4 photographic print took roughly a minute (or less). Printing normal text documents was also very quick, and was on par, if not better than, Epson’s claim of 32 pages a minute (colour and on plain paper). Printed photographs were also immediately dry once done. Allowing for photographs to immediately be handled. 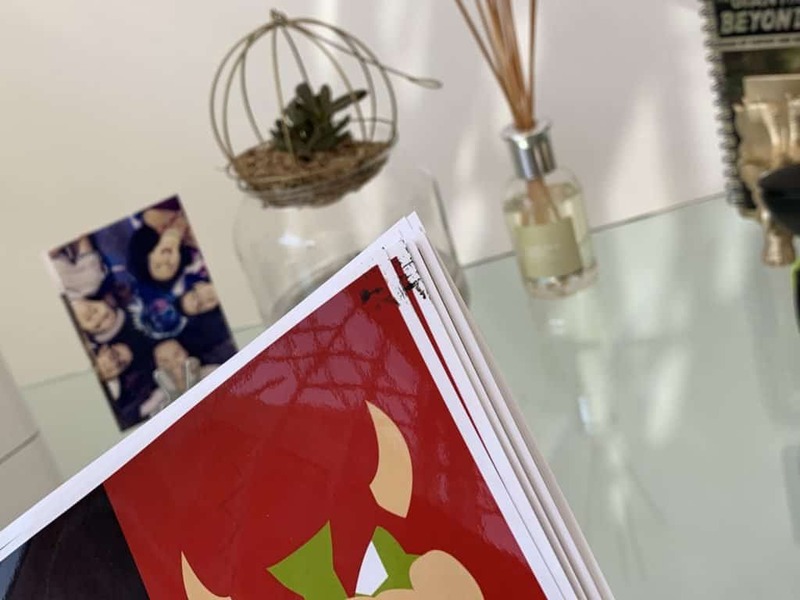 However, make sure to put in the photo paper the right way. I accidentally had a sheet inserted the wrong way, and the ink did not dry. In fact, it managed to stain my fingers for a few days. Thus it is worth noting that the ink will not dry if the the paper is not inserted correctly, and that it stains if handled while wet. Smudges on A4 photographic paper, resolved through printer head cleaning. Although the photographic prints are exceptional, there was a single moment during my testing whereby the Epson EcoTank L7160 disappointed. Specifically with regard to the smudging of certain areas on A4 sheets of photographic paper. Namely in the top corners of the sheets. Interestingly, this issue never occurred on the 4×6 sized photo paper. It only ever happened with the A4 photographic prints. The good news is that this issue was fairly easy to fix. Engaging the printer’s ‘self-cleaning’ functionality would often solve the issue. Starting the process requires opening up the printer settings using the inbuilt LCD, and navigating to the ‘maintenance’ options under the settings. This causes the printer to flush the nozzles and printer head system. Given the quality of the prints, ease of use, speed and overall satisfaction with the printer, this small nozzle cleaning procedure became nothing more than a slight blip in an otherwise wonderful experience with the Epson EcoTank L7160. 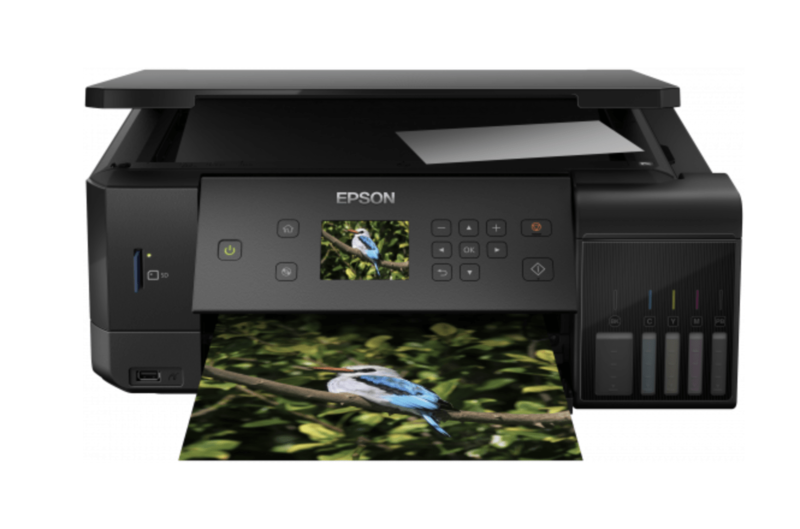 The Epson EcoTank L7160 provides brilliant photographic prints. Without a doubt, the Epson EcoTank L7160 is one of the best printers I have ever had the pleasure of using. The quality of the photographic prints are truly exceptional. When the time came for the printer to return to Epson, I was genuinely sad to see it go. Not only did it impress me with its feature set, but it helped give our new place to live a sense of normalcy. A ‘homely’ feeling that can only be attained through memories spread throughout the living space. Memories that have been beautifully printed in a quality that rivals that of professional studios.